Top 10 creative and beautiful eCommerce website designs to help you create or redesign your online presence, hopefully they can give you ample design. inspirations. 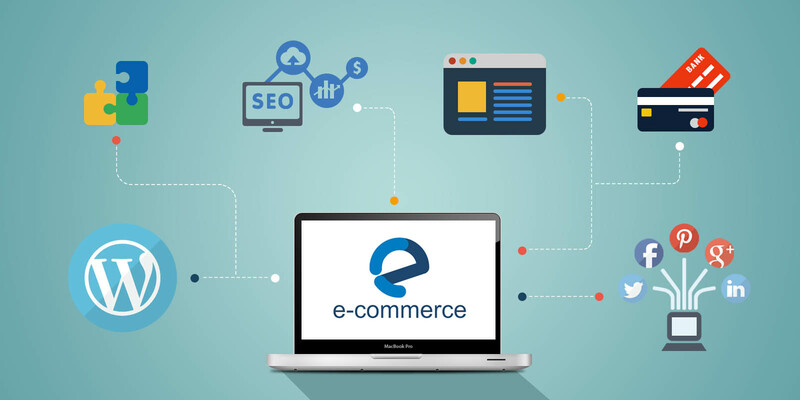 Believe it or not, eCommerce websites or stores has been become the future of our shopping, and the rise of online shopping websites is the reason why more and more people are moving towards online shopping rather than physical shops. However, whether it’s just the presentation of fashion clothing or the latest electronic products, people just seem to love seeing things which are beautifully designed. And this goes the same way for your website. If you fail to present visitors with an attractive website and user-friendly experience nicely, then you’re leaving money on the table. In another words, attractive web design can be a pivotal factor in successful online sales and marketing. Here, we’ve listed up top 10 eCommerce websites to help you create or redesign your online presence, hopefully they can give you ample design inspirations. Compared to the traditional multi-level navigational bar on the top of site, the sidebar menu to some degree makes the webpage simple and easy-to-use. Carolina Herrera adopts such an interesting sidebar that has multi-level layout and gives users clear guidance also. This greatly enhances the browsing experience and has better visual effect. Not only does the design of navigation, search and filtering is important for users to look for what they need, but also a necessary way to locate useful information. X-Doria includes the common and appropriate search and filtering features, helping users easily find and get what they need. This site uses a plugin called jQuery Kinetic and adopts large & attractive picture on homepage. The high-resolution and delicate illustrations and background images make 8 Faces unique and out-standing from other sites. Its layout also looks pretty attractive. Can you guess what the website is about according to the homepage picture? The answer is – leather goods website. Ada Blackjack, a brand of homemade bags and leather goods, is simple but elegant in design with vintage and large photos. This site follows the traditional design approach and makes use of illustrations with relatively simple layout. A highlight is it displays individual items in various creative ways, and the combination of traditional illustrations with fun presentation videos sets it apart from the rest. The upper navigation bar is designed with different fonts, which makes the website gorgeous and stylish. The highlight of this shopping site is the display of a row of tea sets in the navigational bar. You may think it’s a comic book website at the first glace of homepage, but in fact it’s a tea-related website. It’s a very special and effective way to capture users’ attention and increase user retention. ETQ Amsterdam is a well-known footwear brand where Elegance and Quality are their core values. They also incorporate such values in design. The design of this website is full of modern and minimalist beauty, with simple layout, fresh color scheme, volume images and subtle animations, and all of these elements together make it stand out. The site interface is simple and full of beautifully-designed products. They are novel and worth learning, such as the creative navigation bar on the top. It’s easy to recognize and use. Good as Gold, a comprehensive and fashion store, uses large background picture on the homepage. It puts product name and important information into beautifully oversized fonts, on the homepage. The full-fledged font looks particularly evident on the mobile. This is a typical website uses video as a way of presenting, and its fully responsive design plus video display makes users learn more about the product. Meanwhile, the gorgeous photos bring added value to the product. There is no wonder that pleasing interactions helps to increase user retention. Obviously, different services and products have different design styles, and to grasp user’s shopping psychology for site conversion has always been a study. If you are looking for a prototyping tool which helps to better design navigation and interactive experience, then you can give Mockplus a shoot. It’s simple but powerful for both newbies and professionals to improve your design to another level.